The company today unveiled Miip, a content discovery platform that transforms advertising into moments of discovery for users, which would be available in the market over the next few days. “It has taken nearly two years to build it. We are likely to have 100 million shopping sessions globally through Miip, which means one billions users within three months,” said Naveen Tiwari, Founder and CEO, InMobi. “With Miip, we will put the user ahead of everyone else, and deliver a consistent, personalized and content-rich experience that users will fall in love with,” he added. Unlike traditional push-based advertising, Miip will capture a consumer’s attention through stories stitched together based on a strong unifying theme. For instance, a user who likes rock music will see an intelligently crafted story with curated recommendations across relevant merchandise, track reviews, concert tickets, music equipment or trending rock collections, all within one discovery zone. Miip extracts content from other existing apps and makes them accessible within the discovery zone. Consumers can also ‘Buy’ products within the discovery zone, through secure payments enabled by Stripe, the partner powering payments for Miip. Miip is currently in private beta with several partners including Spotify, Machine Zone, JustFab, The RealReal, Joyus, Rhymeo and Vidzy. “We have just announced Beta today. It would be interesting to see how we understand users better and enrich their lives. 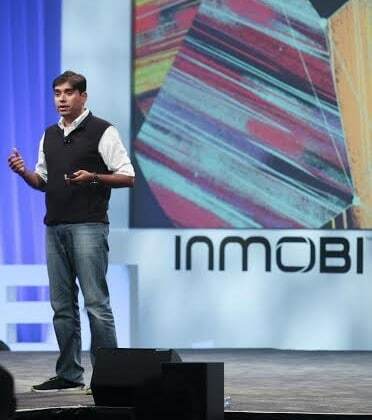 InMobi is the only independent entity to take to this approach of advertising, whereas most competitors do it on their social platforms within their walled gardens. Miip is about discovery, not ads. We have incorporated several user feedback in the making of Miip. These were mainly around increasing the numbers of products displayed, more stories narrated to fulfilled their needs, increase the number of swipes / interaction,” Tiwari added. InMobi’s Miip to hit 1-bn users in 3 months 0 out of 5 based on 0 ratings. 0 user reviews.